2. 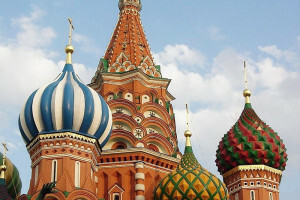 Intellinews.com: Ben Aris, Russian medical services show healthy growth. 4. www.rt.com: Putin talks Mueller probe, US-Russia relations & polar bears at Arctic forum. 5. Interfax: Putin reaffirms Russia’s plans to ratify Paris Agreement on climate change. 7. Carnegie Moscow Center: Andrey Pertsev, Kremlin Scapegoat: Russia’s In-System Opposition Under Attack. 8. RFE/RL: ‘Very Important Precedent:’ Russian Court Rules Transgender Woman Was Fired Illegally. 9. Interfax: Calvey planning to continue working in Russia, urges to invest in Russian projects – business ombudsman. 11. Intellinews.com: Migration to Russia drops to the lowest level since the fall of the Soviet Union. 12. Russia Matters: Experts Discuss Threats Shaping Russia’s Alliances. 13. Interfax: Federation Council says dialogue with NATO military, politicians necessary. 15. Vedomosti: Russians do not buy ‘militarist’ rhetoric, paper says. 16. TASS: Nezavisimaya Gazeta: Washington’s obsession with Russia sanctions petering out. 17. TASS: Browder involved in five criminal cases in Russia, says Prosecutor-General. 18. Riddle: Mikhail Nemtsev, Rethinking the “Russian World.” Mikhail Nemtsev considers how the concept of the “Russian World” was transformed from the niche interest of a few intellectuals to the cornerstone of the Kremlin’s revanchist agenda. 22. TASS: Russia removed 80,000 tonnes of trash from its Arctic zone since 2012. 23. Sputnik: Amesbury Survivor Tells Russian Envoy He Didn’t Know How He Was Treated. 26. TASS: Kiev agrees to extradite suspect accused of murdering Forbes editor to Russia. 27. PONARS Eurasia: Sergiy Kudelia, Will Ukraine’s Fractured Electorate Create Another Power Turnover? 28. Al Jazeera: Leonid Ragozin, Why ethnopolitics doesn’t work in Ukraine. Petro Poroshenko’s electoral failure shows the limits of using ethnonationalism as a political strategy in Ukraine. 29. Kyiv Post: Brian Bonner, Poroshenko coming on strong in final stretch. 30. TASS: Poroshenko orders over 2,000 billboards showing him face-to-face with Putin. 31. TASS: Poroshenko headquarters explains why Putin appears on election billboards. 32. Vedomosti: Daily says Russia lacks Ukrainian-style competitive elections. 33. Wall Street Journal: Justice Department to Examine Origins of Probe Into Trump Campaign’s Possible Ties to Russia. Issue has been a grievance among GOP lawmakers, who allege law-enforcement officials and prosecutors abused their authority. 36. National Review: Andrew McCarthy, The Folly of the Mueller Investigation. A hysteria without a cause; a report without a point.